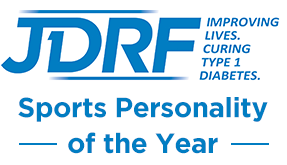 Day 2 - British Universities and Colleges Sports Championships 2017 | Life, Sport and Diabetes - An everyday look at my life with type 1 diabetes. Today was a very different day for me in the BUCS arena, because it meant becoming a competitor from being a supporter as I competed in the relay heats with my team Cardiff Met in the 4 x 200m sprints. Whilst the relay is an incredibly fun event, it is also a lot more technical indoors than outdoors, as every team member changes the baton at the start/ finish line. But this has to be within a 20m long box. The first runner races in their own lane, where as the second runner 'breaks', which means that they have to cut in from their lane and start running in lane 1, and legs 3 and 4 bring the baton home. None of this happens in an outdoor relay and means that each runner needs the upmost concentration and team cohesion to succeed. And succeed we did, bringing the baton home in the quickest time by two seconds, of all of the 24 other university teams and going into the final as the quickest squad. But what was actually truly unique about our relay squad was not just the speed, but the fact that two out of the 4 relay runners had type 1 diabetes and wear an insulin pump. Which in my 12 years of competing in athletics, not once have I been in a representative squad with someone else with the condition, to my knowledge, let alone in the same relay. It was such a unique situation to be checking my blood glucose levels and adjusting my insulin pump at the same time as someone else. We also both saw the effects of excitement and adrenaline on our blood glucose levels as the race drew closer. As it happened, the other person with diabetes was passing the relay baton onto me, so we also managed to be in sync with this. The significance of this moment was also reflected on social media after the race when I tweeted a picture of my team mate and I showing our pumps and we were honoured and overwhelmed by the messages of support and encouragement from the diabetes community for the finals the next day!